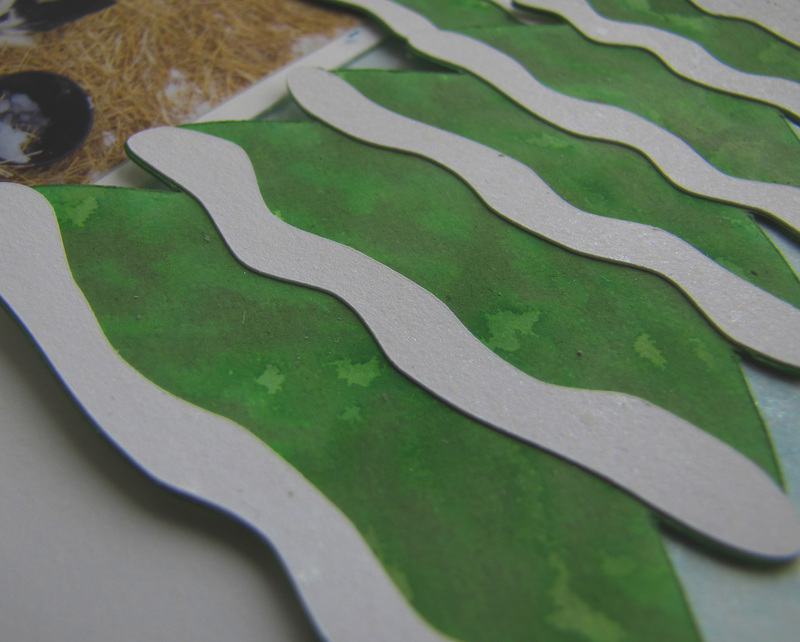 Pretty Papers, Pretty Ribbon, Pretty much enjoying scrapbooking! Hi! I hope life is treating you well! 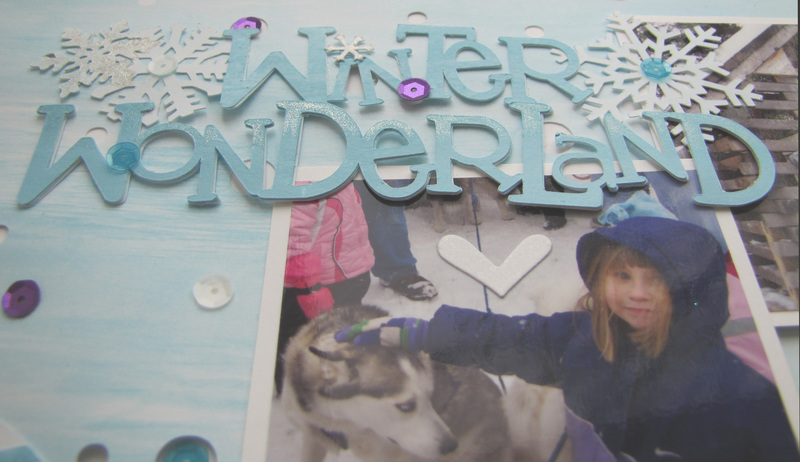 It’s my day to share a project over at the Pretty Paper, Pretty Ribbons blog and I decided I would share some wintery fun. 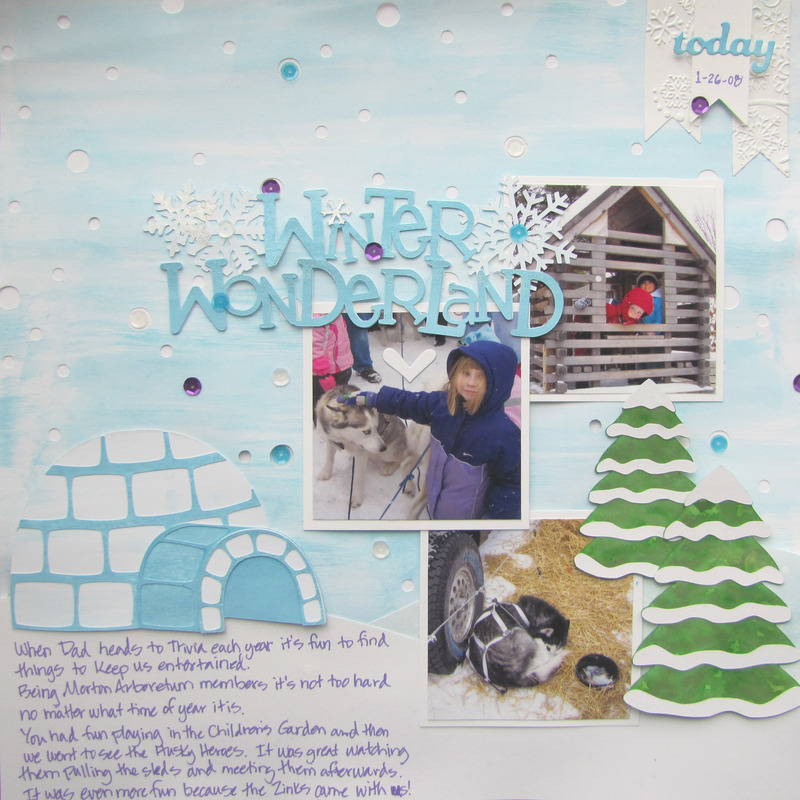 I loved the Wintery Scene Lisa just released and needed to create a layout with it! Yep, it was irresistible! I had to do it! So, I went digging through my pictures and found some great images that I thought would be perfect! I couldn’t resist adding the igloo from Winter Critters to go with the huskies and the title Winter Wonderland seemed absolutely the perfect fit for my story! Where else can you have sled dogs racing around for all sorts of awestruck visitors than in the winter wonderland of the Morton Arboretum?! I created all the colored papers with Distress Inks and stains and the white is created using Mister Huey’s and Glimmer Mist – I have to admit, I struggled to get a middle tone for the Tumbled Glass – it looked more distinct when I was creating it than it does in the final igloo. I was inspired to get inky by all the wonderful shades of blue in the renderings of the cut files along with the Simon Says Stamp Monday Challenge – Inky Background. I used a bit of Wink of Stella to highlight some of the areas on the cuts. I love the shimmery, icy look it gave! Some shimmer of Glimmer Mist, a little embossing and a sequin = happiness. I just love the title and used the Wink of Stella at the tops of the Wonderland letters to give it a little “pop”. It was fun to see things come to life with the addition of that shimmer. Gloves, snowflakes, wintery animals, January – all there! 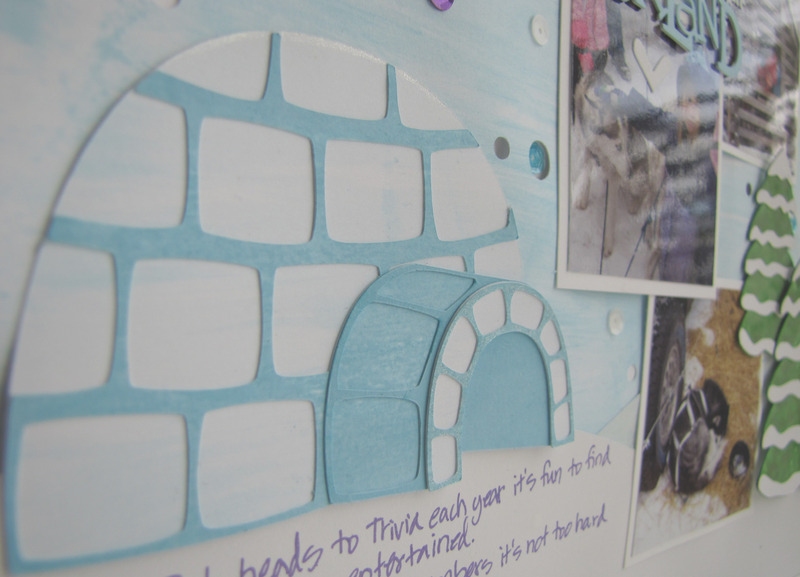 Then there’s StuckonUSketches Die Cut Challenge – Snow, check! And let’s not forget Lasting Memories January Challenge #224 – captured moments – January moments, captured and preserved! ETA: Thanks to my friend Tina for letting my know I’d been featured for this layout at Lasting Memories! ETA : Linking up with the Paper Issues “Say it isn’t Snow Cold Outside” challenge. Thanks so much for stopping by today! Do you have special things that you’ve gotten to do to help you get out and enjoy the outdoors in winter? I’d love to hear about them or anything else you’d like to comment about! Other supplies not listed above: cardstock – Bazzill; sequins – Doodlebug; die cuts – We R Memory Keepers, Paper Smooches; embossing folder – Darice; adhesive – ScrapPerfect, Xyron, Zig.